I’m the father of an 11 year old music lover and I’m pissed at Dr Dre and my sister. You see, Dr Dre came out with these really great, high performance headphones called Beats and then my sister went ahead and bought a pair for her son. Now they are both my mortal enemies. I’m mad at my sister because she totally killed the one excuse that I was giving my son for not getting him a pair. Whenever he asked I would always say, “Those Dr Dre Beats are too expensive!” Then one day, my son had the snappy comeback, “Aunt Nicole bought a pair for Noah.” Crap! Now my excuse was down the drain because his cousin had a pair. This is how Ronald Reagan must have felt when Russia kept building more nukes. My credit cards was on a path to mutually assured destruction. Truthfully, I really don’t think that 11 year olds should have $200 headphones. My nephew is older but that still sounds crazy to me. So I went on a mission to find a suitable pair of headphones for much less money. My wife tried the Five Below route with little success. We burnt through two pairs of those that were thankfully only $5 each. The first pair got sucked up into the vacuum cleaner and had to be replaced. The replacement pair just stopped working. They just weren’t built durable enough for an 11 year old. Can you imagine if I saw the $200 Dr Dre Beats on the floor getting vacuumed up? 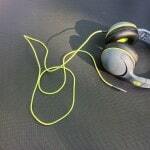 Proves my point that 11 year olds leave things on the floor and shouldn’t have $200 headphones. I looked at what was available and read all the reviews. Then I settled on a $50 budget. 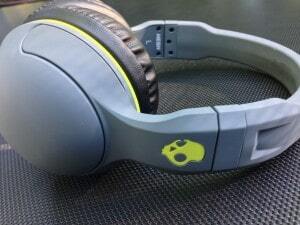 In that price range the best bang for the buck was the Skullcandy Hesh 2 Headphones, Gray/Black/Lime . They have a nice solid feel to them and they’re available in lots of different colors too. I liked the detachable cord feature and hopefully the cord will stay out of the vacuum cleaner. But you buy headphones for the sound and I was not disappointed in the sound. Excellent base and the highs were crisp and clear. Obviously they didn’t sound as good as the Dr Dre Beats but they were surprisingly close. 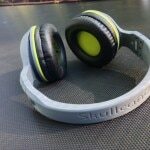 The Skullcandy Hesh Headphones sell for around $50, I could buy a set of headphones for everyone in the family instead of one of those Dr Dre Beats. And by the way, if my daughter is reading this, everyone in the family is not getting a pair. 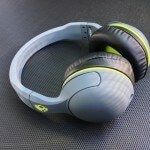 With the research completed, the next thing I know, the Skullcandy S6HSFZ-319 Hesh 2 Headphones are in my Amazon shopping cart. My son decided on the Gray/Black/Lime because he must be color blind. But Gray/Black/Lime actually matches a lot of his equally color offensive clothes so it was probably a good choice. Another suburban Dad crisis has been averted. My son now has great headphones that are both stylish and sound great. And we didn’t break the bank to get them. I guess I can forgive my sister now but Dr Dre is still in the doghouse.